Dungeon Fighter Online [ExStream] - Who is Kashipa's Leader? Weekly Gaming News summary for the week of February 22nd (February 15th – February 22nd). Gaijin Entertainment announced this recently that a major content update is on the way for War Thunder! This update, #1.87, will push ground technology even further, seeing the introduction of late 20th century vehicles, including several post-Cold War models. Upcoming developer diaries will have more details on these new vehicles in the coming weeks. The first of these diaries posted centers around the iconic Challenger 2 tank, which is the most modern tank in the British Army featured in the game. Also last week, Neverwinter announced their biggest expansion ever, entitled Undermountain! Players will delve into the halls of Halaster Blackcloack, and seek aid from strange bedfellows like Durnan and Celeste to survive the challenges awaiting beneath Mount Waterdeep. Undermountain will feature five new adventuring zones and a new level cap of 80! The update will also fine tune level-scaling for earlier zones, introduce a number of balance changes to each class, and a new end-game dungeon called Lair of the Mad Mage. Players will be able to play an early version of the Undermountain update on the Mimic public test sever early to mid next month. 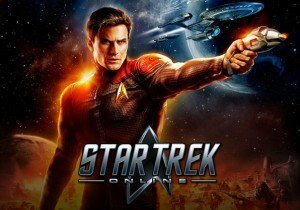 Also from PWE, Star Trek Online dropped two major announcements this week! The first is that on March 5th, 2019, Mirror of Discovery will arrive on Xbox One and Playstation 4! This update continues the story centered around Star Trek Discovery, the hit CBS TV series. The second announcement is a new Featured Task Force Operation for PC players that takes place on Pahvo! You’ll join several Alliance captains as they deal with the aftermath of the events of Mirror of Discovery. Next up Daybreak Games finally shared the new release window for their upcoming sci-fi battle royale PlanetSide Arena! Arena will launch on both PlayStation 4 and PC in the Summer of 2019. In light of this delay, the Founders Season was in fact cancelled, and Daybreak Games is refunding all PlanetSide Arena pre-orders on Steam. The Beta Test program will, of course, continue to expand up to the launch. 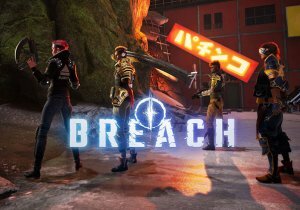 In other news, the 4 vs 1 action RPG Breach officially launched their first major monthly update this week: Patch 0.1: Valley of Kings. This update introduces a new class, the Medic, which summon Microbots to follow other players around and heal them over time. Also featured in Valley of Kings is a new map of the same name, and the debut of the newest boss Sekhmet (pronounced Sec as in the first half of security-met), the Egyptian Warrior Goddess. There are also a handful of performance optimizations, a new ranking system, and the ability to queue as Hero or Veil Demon only. QC games also announced their first invitational tournament, which will be broadcast on Twitch, Mixer, and Facebook on March 2nd, 2019. This tournament will feature top streamers competing for $10,000 in prizes. To celebrate, viewers of the event will have a chance to win an NVIDIA graphics card and an Alienware PC, so why not check it out. 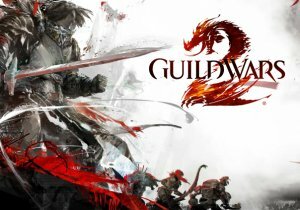 Also this past week, ArenaNet showed off a brand new mount coming to Guild Wars 2 soon on February 26th, the Warclaw. This massive horned lion-beast will only be attainable in World Vs. World by players who own Path of Fire, and features a set of abilities designed with World Vs. World mechanics in mind. Cool looking mount, not a huge update but an update none the less. 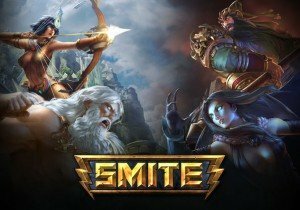 Mentioned in past recaps Smite is now officially free-to-play on Nintendo Switch! But equally as cool, the current build features cross-play with Xbox One and PC, as well as cross progression for those platforms. This means that any cosmetics, gods, and masteries you’ve unlocked on one platform will now be present on all platforms (except Playstation 4 of course… hopefully that will come in time). But In other Smite news, Merlin, the wizard of Arthurian legend is now available to play! MMOHut’s Jason brings us an in depth breakdown of the current patch-notes as well as an extensive review of the new God Merlin, which you can find linked below. While you’re there, We also have a SMITE ‘2 Hot 4 U’ Battle Pass and Deadly Desire Da Ji Giveaway so check that out and be sure to enter. Next up, Space Engineers is leaving early access and entering its official launch on Thursday, February 28th, 2019! This launch comes alongside a major update for the game. Space Engineers was one of the first games to enter the Steam Early Access program, and now that the foundation of the game is finally where the developers want it to be, it’s time to release it into the wild! Good Luck! Speaking of wild, KOG Games’ latest MMORPG, Kurtzpel, began a limited time Closed Beta this week, which will run through February 24th! KurtzPel is a third-person anime beat-em-up in the style of game like Closers, and is intended to be a spiritual successor to GrandChase. If you’re interested in snagging a code, hit up the link in the description to sign up and gain access while you can, you’ve got a few days left. Meanwhile in Tera… I always like to start these segments that way. Tera and PlayerUnknown’s BattleGrounds are actually starting a month-long collaboration on March 5th. This is a weird collaboration if you ask me… but could be cool. When I say, when in doubt battle royale this isn’t exactly what I meant. 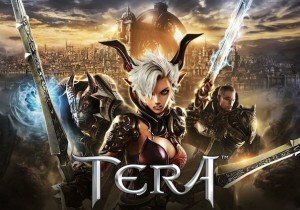 Soon Tera players will be able to drop into PUBG style BAMs. Additionally, Tera X PlayerUnknown’s BattleGrounds will bring the chance to earn exclusive themed cosmetics and pets along with daily login bonuses for the duration of the event… what will they try next. 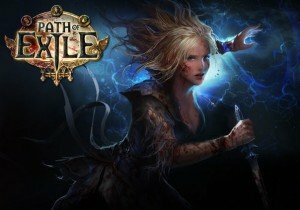 Also worth checking out when the time comes, Path of Exile announced its new Challenge League, called Synthesis! This new league will see players aiding a powerful spirit named Cavas in rebuilding his memories and uncovering his apparently major role in Wraeclast’s history! A ton of new skills, sixteen unique items, and tons of monsters await when Path of Exile Synthesis drops in March! For more details, check out Colton’s coverage on the MMOHuts youtube channel. Dragon Nest provides an enjoyable experience with fast-paced gameplay that many other action MORPGs barely come close to reaching.